Over the past few weeks I've had an eye-opening string of experiences. I've seen the burnout and exhaustion of change-makers who feel that "in spite of winning some battles, we are losing the war." A lot of the news isn't good: climate destabilization, the deepening of ecological and social divides, countries on the brink of falling apart, you name it. But I've also seen a whole new landscape of initiatives, collaborative platforms and places that already embody the future, right here, right now. Unfortunately, the mainstream media talk only about the bad news, not the good news. Our attention tends to get stuck in the past, focused on what's disintegrating. Even the innovators of the new landscape often do not see that they are part of a much larger movement. Which is why I am writing this post: to share a few heartening snapshots from the past few weeks that illustrate the power of the shift in awareness, from ego-systems to eco-systems, that is happening around the planet right now. Our current moment has an enormous potential for positive change. We clearly are at the edge of something. That is what I am excited about. I see very different groups and organizations starting to work together on a new level of quality and scale. I have been waiting for this to happen for 20 years. Look, there were six of us who participated in your U.Lab MOOC in January -- and we all came out of it with the same idea: let's use this free online mechanism as an opportunity for all parts of government, and also their partners in civil society and business, to explore and prototype new ways of collaborating and innovating. What resulted from this conversation were two gatherings of change-makers in Scotland, hosted by the government but open to all sectors, to explore how U.Lab 2.0 (which will begin Sept. 10) could be used to co-create cross-sector innovation platforms that address the key issues of concern to people in Scotland today. The third meeting took place July 3rd. As I enter the room before it began, I feel a vibrant energy and openness; people are ready to explore. Two hundred and fifty people have gathered in Edinburgh, half of them from other parts of the country, to attend this meeting. Ever since the referendum on Scottish independence last year (with 85% voter participation), Scotland has seemed to operate with a heightened political awareness. The referendum, as I learned, was really mostly about what kind of future the people of Scotland want to create. 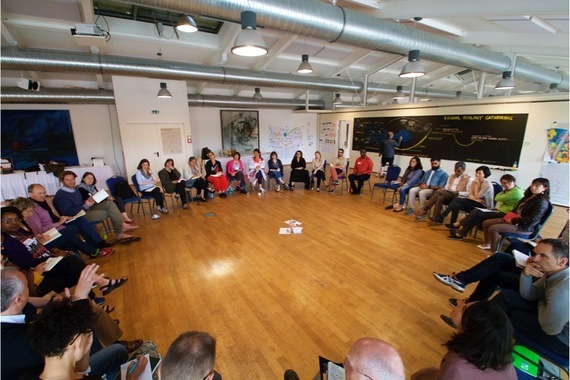 Hence, my meetings with this network of change-makers focus largely on clarifying how each individual, but also the group as a whole, could use the U.Lab as a vehicle for achieving profound renewal and change. What I loved about the first meeting is that a government director opens the meeting by saying: 'Hey, we know that the system is broken, and we know that we do not have the answers. We need your help! That's why we are here.' How often have you heard such a statement from government? That instantly created a totally different tone and atmosphere. The day in Scotland leaves me and everyone else in the room uplifted by a sense of enormous collective possibility. Two days earlier I happened to meet Anies Rasyid Baswedan, former student leader and currently Minister of Education in Indonesia at an event where both of us were speaking. I loved his talk. He talked about education as movement-building. I find it very inspiring that a new breed of change-makers like him are serving as ministers and working to change the essence of education in Indonesia. (The new Indonesian government came to power through the help of a massive civil society and cultural sector movement.) Imagine what it takes to reinvent country-wide complex systems like education in a country with 17,000 islands and 250 million citizens! While we were chatting, he asked whether I could stop by that afternoon. He wanted me to speak to some of his team. "Sure," I said, without much further thought. Arriving at his office, he led me to a room with 120 of his top civil servants waiting. It was a great session and discussion that made me appreciate much more the challenges of turning around the entire educational system of such an enormous country. Listening to Indonesia's Education Minister reminded me of another recent immersion experience. Irvington, NY. Listening to Eileen Fisher, founder of Eileen Fisher, Inc., a women's clothing company, I realized how much the journey of her company has changed in just the past ten years. The company went through a remarkable transformation, reinventing itself as a movement-builder -- using business as a massive force for positive change in the world. In the case of Eileen Fisher, that includes a more collaborative and circle-based leadership structure and culture, employee stock ownership, a whole host of well-being and self-development opportunities offered to all employees, pioneering new pathways to sustainability, committing to 100 percent sustainability for the entire company by 2020, refocusing the central mission of the company on generating well-being for its entire ecosystem, and more. When was the last time you saw the CEO of a well-regarded company talk about and create awareness of the fact that her industry is the second worst polluting industry on the planet? When have you seen a CEO offering everything she has learned about sustainability to her competitors? Business as movement-building means just that: half of the company's DNA is about being lean and successful; the other half is about putting the power of business into serving the well-being of the planet and all of its people. Eileen Fisher is not a singular case. Over the past few years we have seen a new breed of companies come into being that are trying to link both: being a business and operating with a higher (social) mission. Examples include some better-known brands like Etsy, Elon Musk, the BALLE (Business Association for Local Living Economies) and countless lesser-known brands and startups. What matters most, however, is that most young people today and many mid-career executives of conventional companies actually are looking for these types of new social mission-driven enterprises as their preferred places to work. The other story that came to my mind while talking to the Indonesian minister, of course, is the MITx U.Lab that my colleagues and I have prototyped earlier this year. We have always thought and talked about the U.Lab as a hybrid of education and movement-building. Delighted by 28,000 registered users from 190 countries, we saw them self-organize in over 350 hubs and 800-1,000 peer coaching-led case clinic circles across cultures. But what most surprised us was the profound impact the U.Lab had on many: 36% said in the exit questionnaire that it was a "life-changing" experience for them. Why did it have such a profound impact? We learned from the feedback that the two most important factors were (1) the case clinic circles and (2) the live sessions with the entire global community. In the case clinic circles, participants team up in small groups in which a case-giver presents her current leadership situation, followed by "mirroring" from the coaches to the case-giver. These mirroring experiences (using images, feelings and gestures) are often a profound turning point that enables a generative dialogue. We knew this before, but we didn't know the effect was possible on such a massive, self-organized scale, transcending distance and cultural differences. In the live sessions, the moments of "collective stillness" were particularly transformative for the global community. During these guided moments of intentional mindfulness, lasting just a few minutes, many participants experienced the presence of a transformative global social field. Last weekend we invited a microcosm of the U.Lab's global hub hosts to Berlin in order to learn about their experiences with hosting and prototyping and to gain input into the direction for U.Lab 2.0. The beginning of this two-day meeting was stunning. We started with a storytelling session: we heard18 current project stories involving the change-makers in this circle -- from Brazil, Bolivia, India, China, South Africa, Europe, Australia and North America. As the results of each new and intriguing project were revealed, everyone was amazed by how much is actually going on. From this starting point of sensing together who we are as a global community, we realized that we all belong to different streams of change-making that are meeting and beginning to flow together as a much larger river (or movement) of global-local change (see drawing below). In telling the story about how the Presencing Institute was founded, I said that ten years ago we brought together a small group of action researchers and practitioners in order to merge three streams: civil society, action science and consciousness (evolution of self). The drawing above depicts these three streams coming together to form a larger river of change and practice that cultivates the interior condition of change-makers (open mind, open heart, open will). It operates on the assumption that the outer issues mirror the inner issues, and vice versa. 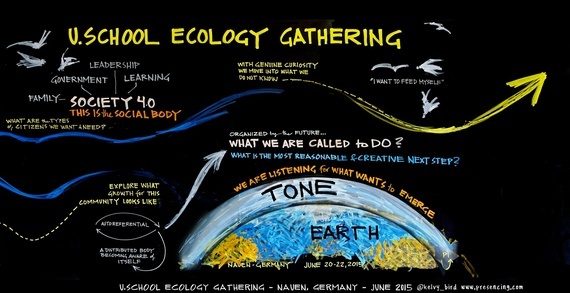 At the bottom of the drawing are four phrases that capture the essence of the projects described: From NEW SOIL to NEW SEEDS to NEW CONNECTIONS to NEW ECOLOGIES. The tone allows us to self-organize with integrity and trust. If we are working with the same tone, the form, structure and shells can change but the movement will be strong. Trust thy Self, every heart vibrates to that iron string. Thus, the main inspiration from the Berlin gathering is a shared sense that, around the planet and in very different places, we are all working on the same deep "iron string." Although many such seeds of the future are sprouting across places, they are not yet intentionally linked or even aware of each other. How can we make this underlying field of hidden connections more visible? How can we make this emerging global movement aware of itself? How can we bring to the surface the sense of purpose that connects these different streams of innovation and activity? How can U.Lab 2.0 be a vehicle for exploring these questions? That experience at the beginning of the U.Lab meeting in Berlin was almost exactly the same as that we had a few weeks earlier in Bhutan, at a gathering of our Global Wellbeing Lab. Stage 1 on this Lab's journey involved self-organized local/regional small-group sensing trips to places relevant to the purpose of the Lab. The purpose of the Lab focuses on transforming society and the economy by "innovating beyond GDP." These sensing experiences took place in South Africa, Sweden, Brazil, Costa Rica, USA and Vietnam. Then the entire group met in Bhutan to learn about Bhutan's approach to wellbeing through Gross National Happiness (GNH), and began by sharing the various regional sensing journey experiences. As in the Berlin meeting, people were amazed by the coherence and connectedness of all their experiences across cultures, sectors, systems and contexts. One theme, for example, was the creative blending of three principles: the power of entrepreneurship, the power of place and the awakening of the intelligence of the heart (passion and compassion). When these three forces join together, amazing things tend to happen. Here are three examples from such organizations in various parts of the world: BALLE (the Business Association for Living Local Economies); Impact Hubs; and the Bronx Cooperative Development Initiative) in New York. Since I discussed BALLE, the fastest growing network of sustainable enterprises in North America, in an earlier blog post, I do not need to take much space here. 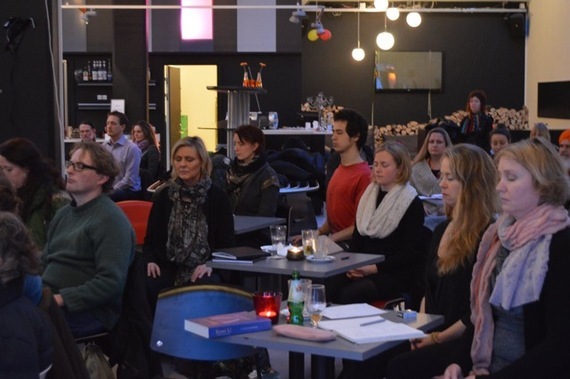 The main point is that BALLE started as an inspiring network for place-based sustainable business development, and has evolved to link these principles with the power of compassion-based entrepreneurship. How did that happen? Among other things, the executive director of this network, Michelle Long, went with our first Global Wellbeing Lab to Bhutan, and then later to India, where her encounters and experiences changed and deepened her views about what matters most. 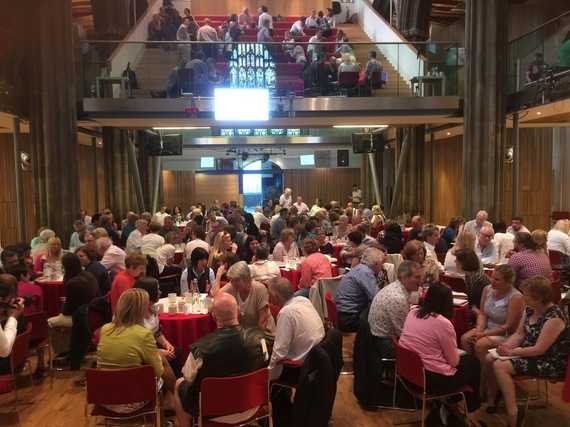 Last month at BALLE's annual conference Michelle addressed an auditorium of businesses and investors with the message that real prosperity would be in line with what actually makes us well -- and that the most important work for leaders is to cultivating the capacity to care for each other. Impact Hubs are a global network of co-working spaces for social entrepreneurs and organizations pursuing mission-driven entrepreneurship. They started just ten years ago with the first Hub, in London. Today there's a network of 67 hubs in major cities worldwide. Coincidentally, several Impact Hubs also functioned as key hosting spaces for the U.Lab 1.0 prototype this January. 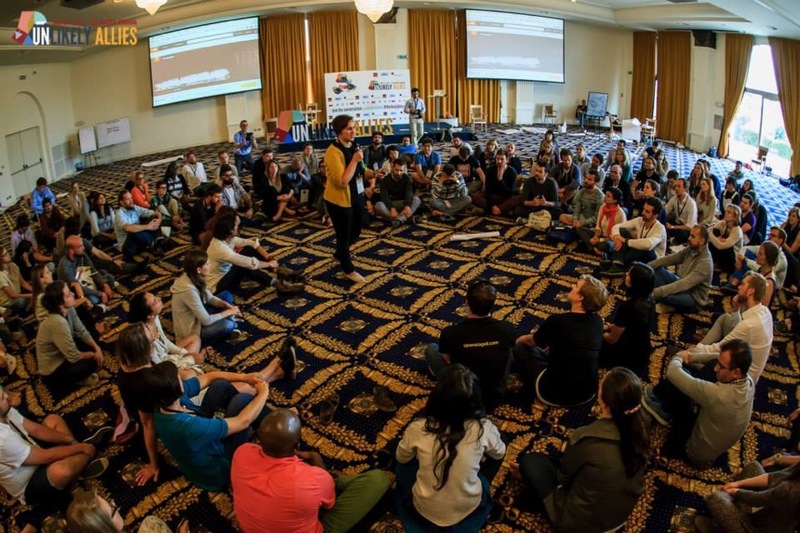 The Impact Hub community invited the core group of U.Lab creators from MIT to join their global 10th anniversary gathering held in Romania in June. Through a deep participative process the Impact Hub community created a new vision to move from "being organized as a network" to "being organized as an ecosystem," through learning by doing, in order to better contribute to social impact with and for the local communities they are part of. At that meeting, many of the Impact Hub makers told us this: "Hosting the U.Lab is a great prototype for this new vision. We are moving from describing ourselves as co-working space toward describing ourselves as co-working communities with the mission of "creating a world that works for all." We at the U.Lab feel connected to that. The essence of the U.Lab is the blend of online and offline (place-based) community-making. So at that gathering in Romania we began to plan for many of the Impact Hubs around the world to function as U.Lab hubs. Using their convening role to catalyze a new conversation about the future of their cities. Watch a cool two-minute video about this here. 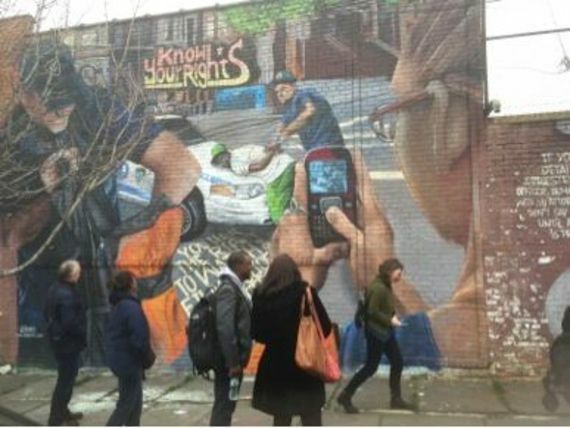 In the Bronx, New York, the Bronx Cooperative Development Initiative (BCDI) seeks to create a comprehensive development plan for shared wealth generation in what is the poorest urban county in the United States. The Bronx is full of contradictions. Though it is the poorest urban county, it also houses the third largest business district in New York City and the world's largest food distribution center; it has massive anchor institutions -- hospitals, universities and cultural institutions that cannot leave the community. These institutions spend billions of dollars each year, though little of it in the Bronx itself. Local activists long frustrated with failed development efforts started BCDI. With this effort they have built a multi-stakeholder working group that includes community-based organizations, businesses, entrepreneurs, labor unions and the Bronx's anchor institutions. Rarely have I seen such an inspiring group of young change-makers in the face of everyday harassment, direct and structural violence (see street mural). It's in groups like this that we experience the future in the here and now. As a result of this sensing journey we now explore practical ways of linking the Bronx Cooperative Development Initiative with the Global Wellbeing Lab and two other local initiatives that apply the key learning experiences from the GNH approach in Bhutan to building a local economy that works for all. Another powerful confluence of different streams has happened through the MIT IDEAS program. IDEAS is an acronym for Innovative Dynamic Education and Action for Sustainability. Ten years ago, my colleagues Peter Senge and Dayna Cunningham and I set out to bring together a diverse group of young change-makers and major institutional players from business, civil society and government. The purpose of this nine-month experimental journey was not to problem-solve but to organize around collaborative opportunities: by exploring the edges of our systems and of our selves in order to generate profound new ways of operating. Rather than telling people what to do and what to focus on, we tried something different: bringing people together and sending them on a journey that exposed them to some of the raw, unfiltered experiences in today's world. We offered them methods to process these experiences by listening with their minds and hearts wide open, and then offered them tools to address the two root question of creativity: Who is my Self? What is my Work? Then they started to co-create platforms of cross-sector prototyping to learn by doing. Ten years on, I realize that this initiative, which was not single problem-driven in any way, but was generated by a mix of aspiration and desperation (frustration with a lack of systemic change), has probably been one of the two most influential initiatives in my life to date. Why? Because it switched on a powerful field of inspired connections -- people connecting with each other in new ways around real issues. MIT IDEAS has generated a powerful global eco-system of projects, prototypes, living examples and inspired networks that keep producing new initiatives and ideas. It doesn't show any signs of stopping. 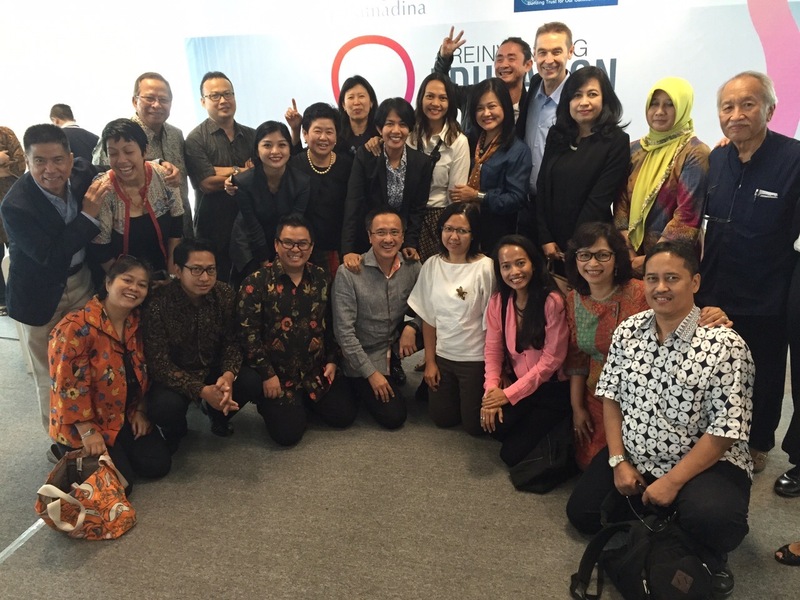 Two of the most powerful outgrowths from this generative eco-system are the MIT IDEAS Indonesia and MIT IDEAS China programs and communities of practice. Government: Hangzhou. Reunion meeting with the first Chinese IDEAS group that completed its workshop two years ago. 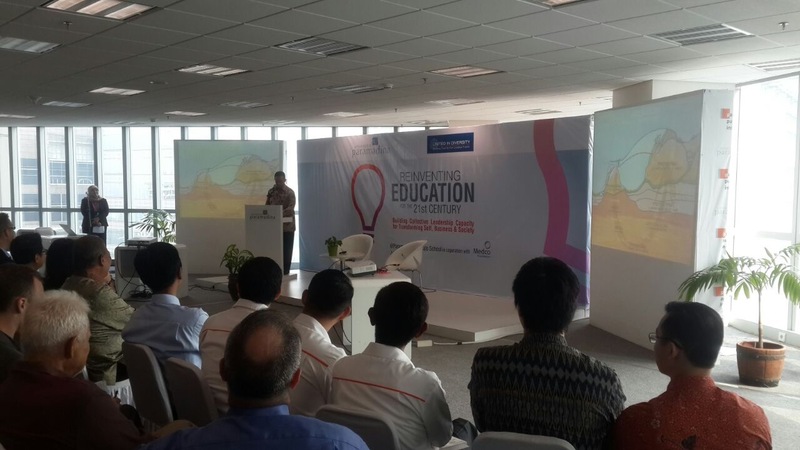 The group included key leaders from government, state-owned enterprises, the private sector and universities. The energy level at the reunion was fantastic, but more important, many participants reported significant progress in their cross-sector prototypes and projects. Some were involved in turning their province, Zhejiang, into the premier player in renewable energy and green mobility in China and internationally (producing more renewable energy in their province than the formerly leading country, Germany). Business: We did some really interesting work, including social presencing theater, with the Organizational Development leadership group at Alibaba, the world's premier Internet commerce company. Last year Alibaba staged America's biggest ever IPO in New York. Its interesting to see how much attention the organizational development group puts on cultivating the interior condition of profound innovation and change -- drawing on all the rich sources of wisdom in traditional Chinese culture. 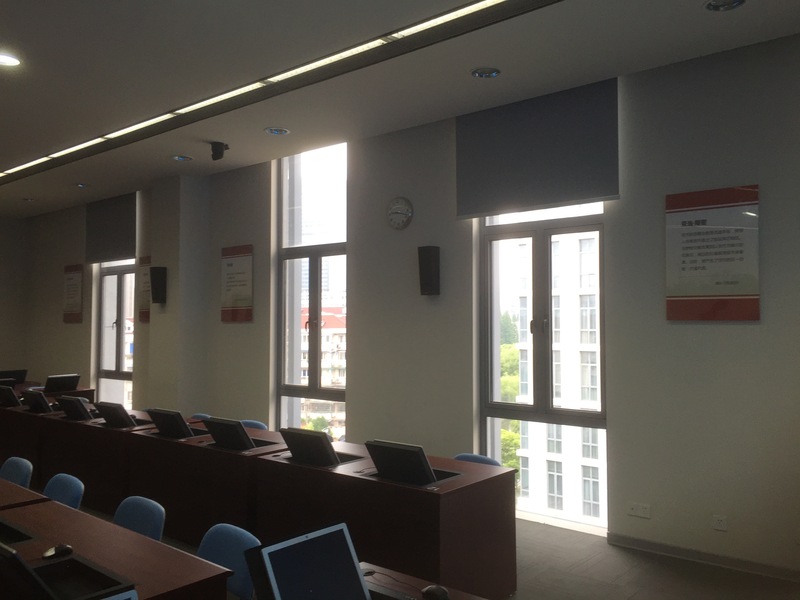 One evening I did a session at the Lakeside University, a new school for successful Chinese entrepreneurs co-founded by Jack Ma (the founder of Alibaba) with several of his peers. Talking to that group was interesting. I could sense that the topic of mindfulness and deep listening resonated with them. Being passionate about your own ideas is one thing. But are you a good listener? How good are you at creating a space in your heart for ideas and initiatives that aren't your own? Mindful leadership and the U-process will be key components of future deliveries of this program. Civil Society. One highlight of my China trip was the chance to reach out to grassroots groups, social entrepreneurs and NGOs. Many of them had connected with each other through the U.Lab (Chinese participants have self-organized hubs in more than a dozen cities in China). 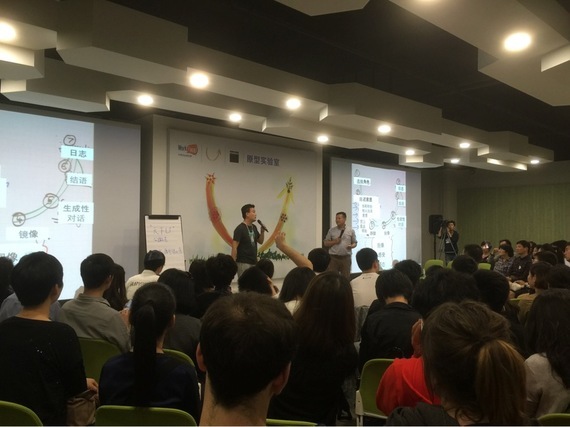 The picture below is of a meeting hosted by Workface, the Chinese equivalent of Impact Hubs. Workface is creating co-working spaces and generative fields among social and business entrepreneurs (picture). The power of the co-creative field in the Workface Hub meeting was really remarkable and inspiring. Tri-sector collaboration. In all of our work we hope to support small seeds of cross-sector collaboration. During an upcoming three-year government appointment at Tsinghua University, my colleague Peter Senge and I will have the opportunity to co-develop and support such new platforms in China. For example, the next IDEAS program in China will bring together key sectoral leaders to help Shanghai rebuild the city's innovation capacity, in order to realize its 2030 vision as an innovation eco-system. While looking at venues for these workshops, I visited the new training facility of the Party School in Shanghai. 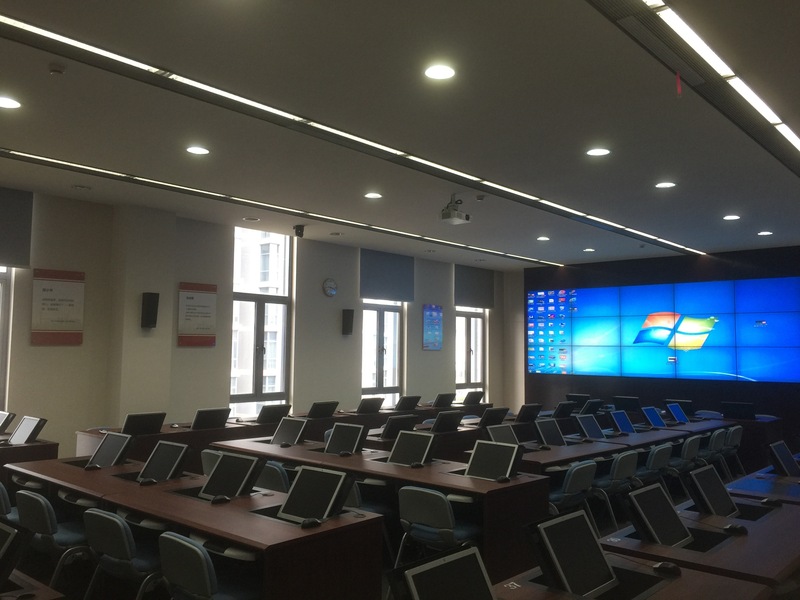 It has an award-winning ecological design, cutting-edge technological equipment (which makes most of our MIT classrooms look outdated) and dedicated places for martial arts, tai chi and access to nature. But this is what I liked most: in one of the training rooms my hosts from the Party School told me: "Here is where we train our financial experts with simulations of the 2008 crisis and what to do about it." I noticed four small framed quotations hanging on the wall and asked my hosts about them. The first one, they said, is from Adam Smith, the second from Karl Marx, the third from Deng Xiaoping and the fourth from Robert Shiller, the Nobel Prize-winning economist. After taking a picture (below), I said: "Wow. This is amazing. In the West, the followers of these four people would never talk to each other. They just talk about each other as they live in different intellectual universes. And here in China you are trying to synthesize and use the best from each of them!" During the U.Lab event in Scotland, one participant asked me what was special about the U.Lab. Good question. Only later did it occur to me that my response had omitted its most important feature: the essence of the U.Lab is seeing your self reflected through the whole -- sensing and activating your emerging self through the mirror of the social field, the evolving whole. Where the danger is, the saving power also grows. The danger is front and center in all our minds right now. The saving power is something that will emerge from our global field of inspired connections if we succeed in extending the rationality of our minds (First Enlightenment) to also activate the intelligence of our hearts and hands on the level of the collective social field (Second Enlightenment). The U.Lab is a practice field and vehicle for this shift. That is, I believe, the call of our time. Adam Yukelson, Antoinette Klatzky, Frans Sugiarta, Julie Arts, Katie Stubley, Kelvy Bird, Lili Xu Brandt, Lisa Chacón and Marian Goodman.